It it possible to find Belgian beers in South Africa . You could probably buy a few different brands at your local bottle store. You could also try Den Anker at the Waterfront which also has Belgian beers on there menu. If you want to have the style but local produced you could wait for the new Honingklip Brewery because they are going to brew a Dubbel and a Tripel. Keep your eyes open to see when Honingklip opens up for the public. 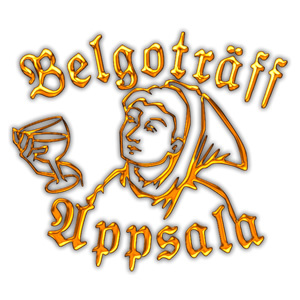 I am in Sweden so I had the possibility to visit the annual Belgian Beer festival (Belgoträffen) in the old university city of Uppsala (just north of Stockholm) . Homebrewers from all over the country gather to compete and taste around 40 different beers (Belgian style). The festival is organized by the local homebrewer association (Uppsala Hembryggarförening) and around 350 visitors enjoy this friendly event every year. I was pleased to see (and taste) some really nice Saison, Dubbel, Tripel, Geuze, Oud Bruin and Fruitbeers. I will come back to one specific Oud Bruin that has its origin 206 years ago. Not everyday you have the chance to taste a beer that old.